What’s the flattest route to drive across BC, if you’re taking a road trip, and bringing your accommodation with you? So, if you’ve come here looking for a route through our province that’s scenic but not too steep, we’ve got you covered. 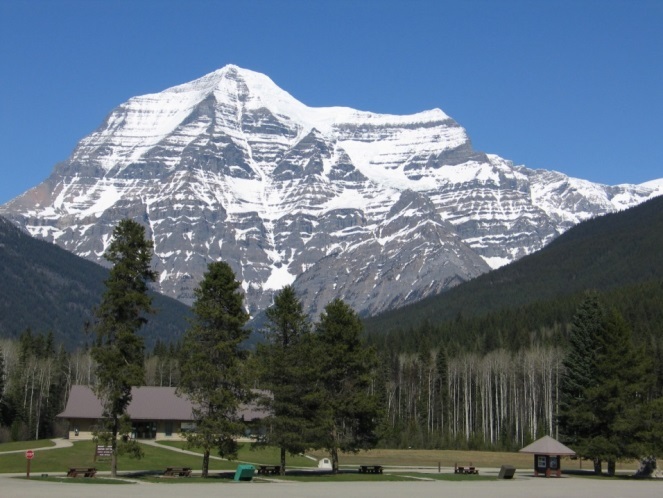 The reality is that there’s no way to avoid some mountainous grades in BC. It’s just part of who we are. The issue for vehicles is really never the steepness of the grade, but the overall length the grade is carried over. 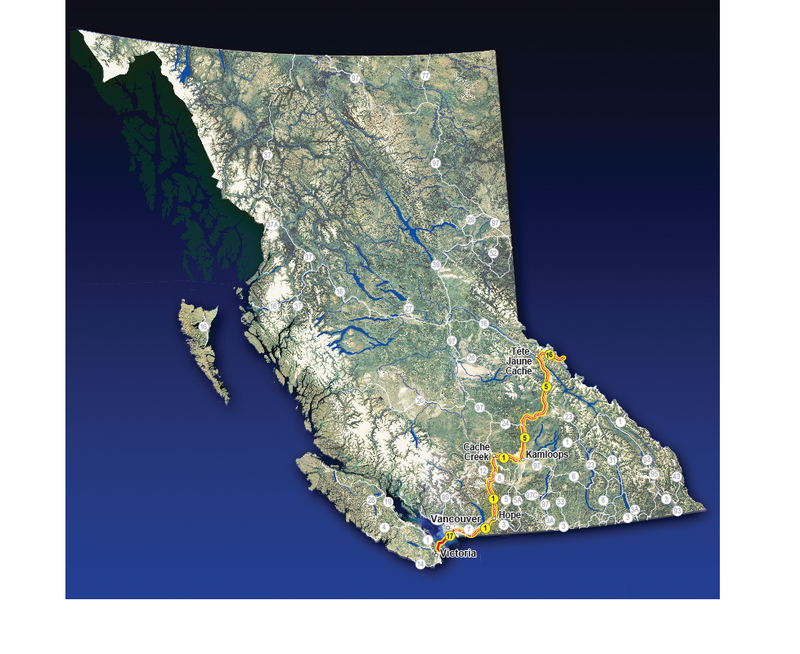 The Coquihalla, Rogers Pass, and the Salmo-Creston have the longest stretches of grades carried over in the province. They tend to be 8%, but can carry over distances of 20 kilometres or more. 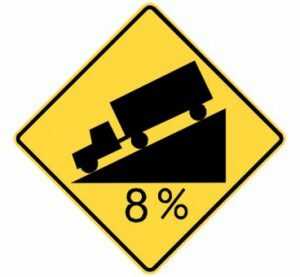 Our grades are typically about 8% (maximum) with a few grades that exceed this (9%-12%) over short distances. Most modern vehicles can handle any grade on our highway system these days, especially if you get the towing package on your vehicle. Go slowly – the biggest problem people have is overheating when they “push” their vehicle too hard. Reduce your speed on the long hills to avoid overheating your vehicle. 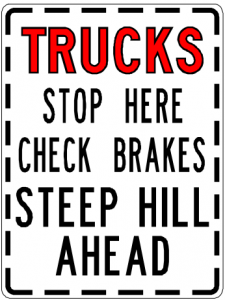 Watch for “Steep Hill” warning signs. Make sure your brakes are in good working order and remember – in the event of an emergency, runaway lanes are located along steeper grade descents in case you need them. If you’re a commercial driver, use the brake checks to test your brakes. Gear down on long descents – use your vehicle’s engine to slow you. Shift into a lower gear if you drive a manual transmission vehicle. If your vehicle is an automatic, slow down, then shift into a lower gear. Gearing down will slow you, so you won’t need to use your brakes all the time. “Riding” your brakes can overheat them. This will wear out your brakes and you could actually lose them (and their stopping power) altogether if you don’t give them a break. If you still need to brake much of the time, shift into an even lower gear. Once you and your automatic transmission vehicle are on flatter terrain, shift back into “D” for “drive”. Check DriveBC.ca. This is our traveller information website. It’s where we share all of our road condition and closure information. If it’s happening on BC Highways, you’ll find it here. Be prepared. Mishaps and unforeseen circumstances happen, and being prepared for them can go a long way. Make sure you have plenty of food, water and spare clothes – just in case. 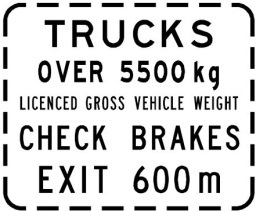 Drivers of heavy commercial vehicles (and also drivers of pickup trucks towing a large RV with a gross vehicle weight of more than 5,500 kilograms) are required by law to check their brakes before travelling down steep grades that are posted with regulatory signs. Note: if you’re pulling an RV that weighs more than 4,600 kilograms when fully loaded, you’ll need either a House Trailer or Heavy Trailer endorsement on your Class 4 or 5 license. If the trailer weighs over 4,600 kg GVW, and there are air brakes on either the trailer or tow vehicle, you will need to upgrade to a Class 1 commercial licence. For other requirements, see ICBC’s: Licensing for recreational vehicles fact sheet. Prefer it in a visual? Here you go! A Note for Cyclists: This route was identified as the flattest for motorized road trips. It is still the flattest route for cyclists travelling across the province, but keep in mind that the flattest route isn’t the shortest one. We hope that this helps you in your travels. If you have questions about these highways or anything else we’re involved with, let us know in the comments below. Safe and happy (flat) trails! I believe there is an error with the text that indicates that if you have an RV trailer with a GVWR of greater than 4600kg “you’ll need to obtain a Class 1 commercial licence.” You will require either a House Trailer or Heavy Trailer endorsement on your Class 4 or 5 license. You only need to obtain a Class 1 commercial license if the trailer or tow vehicle are equipped with air brakes and the trailer is in excess of 4600kgs. Very few recreational trailers are equipped with air brakes. You’re correct. Thanks for catching that! We’ve revised that section of the blog post. Hello TranBC, could you explain the segment “6. Tsawwassen Ferry Terminal (Vancouver) to Swartz Bay Ferry Terminal (Victoria)”? Is that not the ferry ride? Thanks for you question about Step 6 — where one travels between the Tsawwassen Ferry Terminal (Vancouver) and Swartz Bay Ferry Terminal (Victoria). Yes, that part of the flattest route would be made by putting your vehicle and yourself aboard a BC Ferry, which might provide a few waves but no hills). I will add that to the blog to clarify this for readers.